Around this time of year, I always receive a lot of different questions and grievances relating to the high school softball season. Playing a sport for high school is a unique situation – you don’t get to pick your coaches, you don’t get to pick your teammates. And on the other side of that – the coaches don’t really “pick” you either. Some players and parents choose to think it is more of a forced situation because many compare high school ball to travel ball. Two different teams; two different sets of problems; one similar mindset — control what you can, let go of what you can’t. In high school, players get challenged in ways that make them uncomfortable. – as a leader, as a teammate and as a player. Honestly, to me, it shows a lot about a player’s character and passion. During the high school season, I hear a lot of excuses…but I don’t hear a lot of players (or parents) trying to see the positive side of things to make the situation better. What can we do right now in this very moment to learn, to grow and to get better? Remember a player (and her parents) are not going to agree with 100% of decisions made. Do you agree with ALL of the decisions your boss makes at work? Think of your favorite sports team: do you agree with the starting lineup every single night a game is played? Probably not. Everybody will always have their own way of doing things, because we are all unique, that’s what makes us US. You don’t have to AGREE with everything that is going on, but you can choose to accept it, see the positive and figure out a way to work with it. There are a lot of lessons to be learned and problems you can either choose to work through or choose to let bother you. I like to always try to choose to make the most of a situation…. In ANY situation we come up against in life, there are going to be things that we can control and things we can’t control. It’s important to always take a step back in any situation, and understand which are which. Limit the excuses and understand what YOU can do better to get the most out of a situation. Uncontrollable: Making the lineup and teams; playing time. Controllable(s): Your attitude every day at practice and games; how you can contribute to your team; supporting your teammates; how you push yourself to get better; not talking about the person who is playing in front of you. Playing time is the #1 grievance parents and/or players complain about (not just in high school ball, but also on tournament teams and college teams). Every person thinks they are good enough for the starting role, and every player thinks they should be on varsity. That’s a great attitude to have, if you channel it in the right way. Always remember that playing time is a decision made by the COACHES, not the parents. I encourage every coach out there to remember your own roots and make your own decisions. If a player has a question about playing time, then the PLAYER should schedule a meeting with the coach NOT the parent. Parents, as a gentle reminder, I can’t name you one coach that likes to talk to parents about playing time. It’s not your job. Take that energy and encourage your DAUGHTER to make a meeting with her coach, even if she is a freshman. Controllables: PLAYER meeting with the coach NOT parent; The TONE in which you ask your question; keeping your emotions in check during the meeting; respecting what your coach is telling you. So you want to know why you’re not playing? Talk to your coach! This is a big deal – I get it! It’s hard as a 15 year old to go up and talk to someone about a serious subject. Think of this as a learning experience! Everyone has a first time of when they had to approach an adult and ask a tough question. A player gets to set up a meeting with an adult to discuss “grown up” things. This is similar to what will happen in college and this is similar to what would happen in a job situation. At your own current job now, you wouldn’t call on your own parent to go and talk to your boss about a raise or a promotion. Meeting with a coach can be the first real life opportunity a player has to discuss something on their own that is a priority and that they are passionate about. A player might think she is doing EVERYTHING she can do to earn playing time. But just because the PLAYER thinks that she is doing everything, doesn’t mean that the COACH is having the same view. Remember, we all come from different perceptions and our perception is our reality. Parents, you can help and get involved not by calling the coach, but by sitting down with your daughter and making a list of things to bring up to her coach whenever she goes in for the big meeting. Have a list of questions you want to remember to ask and that list can be comfort going into the meeting. Allow your daughter to come up with these questions as much as she can – not YOU. It’s not about you, sorry! A player calling a meeting with a coach shows maturity, and it’s a great experience for the player to take responsibility of having a voice. Don’t complain to your teammates – it makes you look bad and you are just looking for them to tell you, “Yes, Susie, you should be playing.” Nobody wants to hear someone complaining about playing time all the time – it makes things awkward, especially if the people you are complaining to are every day players. Even if the people you are complaining to are NOT every day players, then you guys complaining about each other become a cancer to the team. Remember everything that comes out of your mouth and all of your actions are either positively or negatively affecting your team’s goal and mission. If you’re not happy with your playing time, there is only one person you should be talking to on your team – your coach. It’s totally okay to talk about playing time in the walls of your own house with your parents – that’s private time. Outside of that, it should not be happening because it starts to take away from the TEAM. If you are a pitcher – make sure you ask specifically about pitching and also hitting, if you pitch and hit. or, “Hey coach, I know I’m not in the starting 9, but what are some things I can help with during the game to help the team out?” (ie chart pitches, try to pick opposing coaches signals, picking your teammates up). At the end of the season, if you were not an every day player, a great thing to ask your coach is, “Coach, what can I work on during the off season to become an every day starter for you?” Make sure the communication is clear cut, so that you are actually working on the exact things he/she said to work on to become that every day player. Too many times things are lost in translation, and players THINK they worked on the things their coach asked them to, and they show up, and it wasn’t EXACTLY what they wanted. Remember if you are not willing to make the adjustments your coach is asking of you, then when you come back the following season and your coach sees no changes, you will be in the same spot you are this year. The worst thing is to be left in the dark about why you aren’t playing or feeling like you did something wrong. Open communication from player to coach is always the best thing you can do. Once again – parents, this is not your job. Take Advantage of Your Opportunities!!!! Okay, so you’re not an every day player, but your coach decides to put you in to pinch hit with a runner at 3rd, who is the game winning run. WHAT a position to be in! Your coach is giving you that chance that you asked him/her about in the meeting. NOW is your chance. TAKE ADVANTAGE OF YOUR OPPORTUNITY. Want it bad enough. Go up, have a quality at bat, and try to hit the ball hard. Doesn’t HAVE to be a hit. You just need to look like you are prepared for your at bat and that you are focused. A QUALITY AT BAT is considered taking advantage of your opportunity. If you go up and strike out on 3 straight pitches, I’m sorry, that’s not a quality at bat, and it’s not taking advantage of your opportunity. That’s looking like you were unfocused since you were not an every day starter. Same idea defensively – if you get a chance to go out and play on defense, and the ball is hit to you, and you make an error, then why would a coach feel confident in you? Even if that is the first ground ball you’ve gotten all year in a game, you MUST be able to come up with a play – no excuses. I hear that excuse all too often, “Well I made that error because I hadn’t played in a game in a while.” NOPE – stop. That’s the easy way out. The hard way is to go into that game and be so determined that nothing will stop you and you will go in and shine. In high school and in college, it’s ALL about taking advantage of your opportunities, especially when you are not an every day player. You must be ready for them defensively and offensively. After the fact, if you don’t have success with your opportunity, you CANNOT blame it on the fact that you don’t play all the time. To me, that’s a cop out. That is giving yourself an out for not taking advantage of your opportunity. Don’t be that player. “No game experience” is not an excuse once you get to the high school level – make plays. Make yourself diverse. There may be a spot defensively that is open, and YOU can take advantage of getting in there even though you have never played that position before. Go take some time on your own to practice that position either on off days from high school ball or after team practice is complete. Work at it. EARN YOUR SPOT. The more positions you are able to play, the higher of a chance you have of going out there and making a difference at the team. If there is a very talented player in your spot, LEARN from that player. She is good for a reason. Even if she is the same age as you, there is ALWAYS something you could be learning from her. Instead of being jealous of her, look at her at practice and in a game and watch how she moves, what she does well and what makes her a great player. There’s nothing wrong with giving her credit, understanding what she does well and trying to emulate her. This way, when you get your chance, it’s an easier transition and you have grown as a player. This is especially true of pitchers, because a pitcher sitting on the bench can be understanding and learning pitch calling, noticing locations and spots and studying hitters to see what a hitter does well or not well. In the dugout, you can be visualizing what you would be throwing in certain situations. This is important, as well, because what if the starting pitcher gets hurt suddenly. You need to be mentally ready to go into a game. IF you have been studying the opposing team’s hitters and understanding what their weakness is, you can be ready to pick up right where she left off seamlessly. Be diverse, be able to play multiple positions. Learn from players who are playing in front of you. Be ready to come off the bench in case of injury or in case you get called upon. PS…if you work hard at practice, your coach is going to be more likely to put you in when that injury happens or maybe your coach just gets a feeling in her gut that she wants you to go in to an important situation. You EARN going into a game. You EARN that playing time. How do you earn it? PRACTICE. If he/she sees how hard you are working and how invested you are into the team, he/she is going to be more likely to rely on you. Did You Know I have an Online Shop? Previous postWhat Exactly is “Normal”? Great job Amanda! These are “life lessons” that can be applied to work, college, etc. attitude and hard work will get a person so far as an adult! Love the message. Everything said is so true. Awesome article. That was one of the policies I had in my softball program. I wanted the players to step up and ask instead of the parents. I thought that it was a way for them to learn steps in growing up to adulthood in our society. I always said that they would have to fend for themselves eventually and needed to work on these skills to learn for their futures. I didn’t have a problem talking to parents, but I thought this was a part of the learning process. I put a link to your article on Texas Prep Softball and emailed it out to the 800 high school coaches in Texas on our email list. Very insightful and helpful article Ms. Amanda Scarborough, not sure who are , but thank you. Troy Cloud Sr.
You don’t know me?! Haha wasn’t I best friends with your daughter in high school?! Thank you! Love that they are sharing it with their entire team! Spread the love…! Great article-way to go! All players, parents, and coaches should read this to know each of their responsibilities. This nails it! Great advice if the coach is reasonable and qualified to coach young girls. So many high school coaches in our area play favoratism to their travel players. They also think they are coaching boys. Sent this to my junior softball daughter that just got from softball team she pitches 54 mph coach an asst coach have freshman pitching daughters made. Varsity? Hi Gail, I don’t think I understand your question, I would like to help – but can you reword? My daughter is 17 a junior at Saint Albans High School Wv, she is a teen mother who has played the game since she was 5, she would have been the schools #1 pitcher this year, and as a freshman she made the all county rookie team, also as a 6th 7th and 8th grader she was the only one asked to play fall ball with the high school girls every year, she was basically forced to leave the tteam do to the coaches position on 4 hour practices starting at 6, she was a practice 2 1/2 hours every evening and 4 hours on Saturday, which is more then the SSAC rule states, but the administration and the coach demands that my daughter make up the practice time, she is a straight A student in honor classes and works very hard at practice and on her own, I know that everyone has their own thoughts on teen pregnancy, but it’s not going away, and I think that a team and school should stand by a at risk students who has done nothing but what everyone has asked of her, but after several meetings and phone calls to the administration and coaches of Saint Albans High School Wv, they will not help or stand by their student. My daughter’s point to her school was what about scholarships, it was a very good chance she would have been offered one if she was allowed to play her junior and senior year, and not only her but other teen mom’s or teen dads, but as of so far I have not heard of one teen dad being forced to leave a school sport because he has to take care of his son or daughter, I have been a LOL caoch, middle school coach and high school coach, Saint Albans is the only school in the area that will not work with us, I have several other coaches say we would not do our team mate that way, and they are the only ones that have 4 hour practices, so they have made the choice as a school and coaches to just push her away from her team and school, I just don’t understand. bery good read but a lot of it is who you are now adays and do you play travel ball. A lot of great kids get left out because they can’t play travel ball. You take teams here and all of them do travel ball and they make up the school team.they can win and come in first on travel ball but are lucky to win 2 or 3 school games. I know girls and guys growed up playing ball but are not good enough for school team because they don’t do travel ball. Like I said almost 95% of it today is who you are. There are two sides to every story. In California the high school coaches are seldom ever full-time school district employees. Often they are walk-on coaches who favor the players who, during the rest of the year, are on the coach’s travel team. Head coaches come and go. While this is an extreme example, my daughter played two sports and earned all-league honors in both. But her playing time drastically changed when coaches changed – three times for each team. While I applaud my daughter’s attitude, i pitied her for the emotional roller-coaster she was on. A varsity starter in softball her sophomore and junior year (first-team all-league) for one coach, my daughters was benched in favor of the travel coach’s sophomore catcher who could who struggled to throw out runners her senior year. In volleyball, my daughter was a starting sophomore setter on a team that won a league title but was a junior bench player in favor of the coach’s club player her junior year. A year later under a new coach, my daughter was a senior all-league setter who never came off the court. As a parent, this was extremely difficult to watch and harder still to explain to my daughter. I applaud you for applauding her attitude…. i thought your perspective on interscholastic play to be very on point especially regarding the selection process. As a former HS Coach (HS umpire) and longtime travel coach the same issues of playing time arise repeatedly…and always will! Parents are simply equipped with rose colored glasses. I simply lay it out day one and they sign their acceptance. We also have an agreement between parents, players and coaches. This way they were told upfront. I don’t find HS coaches taking this type of approach and it develops into an adversarial situation. Love this article. My HS daughter spoke to her coach at the beginning of the season. I was so proud of her. 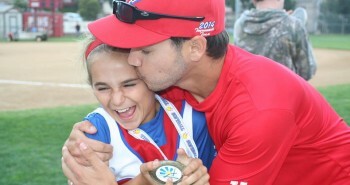 Afterwards I explained to her that to me it was much more than talking to her coach. To me it was preparing to talk to her boss, her coworker, her peers when she is an adult. Athletics is about preparing your child for the future. What do you do when your coach deliberately doesn’t play you and only plays his favorites whether it is because of their parents of of their older siblings or because they threaten to quit or go to another school? I know of a couple girls in this situation, including myself. It is emotionally and mentally tiring to deal with and go through. You jus have to control what you can control. You can’t control him making the lineup. You CAN control the attitude you have at practice to continue to get better as an individual and be the best teammate you can be to support other teammates. And you also have a choice of whether to play next year or not. Do what makes you happiest and and keeps you in the healthiest frame of mind! What should I do about bad pitch calling in HS ball? I am a pitcher and my coach is not knowledgable about what to call for certain hitters. Do I just pitch what she calls? Challenge yourself to make better pitches. Don’t blame something, still your job to make good pitches on the corners. NOW – if coach is calling pitches you don’t feel comfortable throwing in terms of consistency, then you need to talk to her and get on the same page about the pitches you can throw for a strike in a game. The high school coaching job is open in our town and I’m thinking of applying for it. What do you think should be distinctive about a high school program as opposed to a travel ball team? I hear so many complaints about politics and lousy high school programs. What can a HS coach do to make that experience worthwhile? Thank you. I love reading your blogs and watching the videos you post to Facebook. My daughter is working out with the varsity squad as an 8th grader and she RAVES about learning from the older girls. This will also be a must read for my travel ball girls. Thank you so much! What a cool experience for her! i’m sure she is loving it! Love this!!!! I have always told mine if you want in the line up work harder than everyone and get better. Parents dont help their kids get better by telling them they should be in the game. That causes the player to have an excuse instead of looking at what they need to do to make them a better player and teammate. Sitting is never fun for the kid or the parent but getting them to see what they need to address gets them in the line up….not whining or bad mouthing teammates. I am glad I had parents that took the “get better” approach……it helped me get a D1 scholarship. Great point Amy. — Parents dont help their kids get better by telling them they should be in the game. That causes the player to have an excuse instead of looking at what they need to do to make them a better player and teammate. I really like this part a lot, and overall your entire post is just very refreshing to read. Great outlook…. I play fastpitch and I have been playing it for 5 years I’m in second year 12 u so yeah I play every position exempt pitcher and catcher I find these paragraphs really helpfull.so thank you very much. I tell my daughter that attitude is everything. If you buy into what the coach is selling you are more apt to be successful in her program she is now in her second year of college ball. (Jc). But has an opportunity to play at even a higher level. Her last two years. I get calls from her every week about problems she faces. I only tell her that her attitude towards the coaches wishes will reflect in her playing time. She is one of the best hitters I’ve seen and has a cannon for an arm. But all that means nothing if she doesn’t have the right attitude. I agree with you100% and we have always told our kids the exact things you just said. When my daughters (twins pitchers) set up a talk with the coach she said they need more finece when they play and just need to tighten up their game and if their parents had a problem we should talk to her. My daughter said it had nothing to do with my parents. I am asking what I can do to get more playing time. Then she benched them the rest of the year. How do you deal with that! My daughters are good players and very hard workers. When they would ask if they could stay longer to pitch or get some extra hitting practice the coach said stop trying to be a brown nose. I don’t know what to do anymore. Growing up all my daughters wanted to do was play for this high school they love the school and want to contribute to this team. Side note we have a small school barely enough girls to make up a varsity and JV teams. This year they may only have one team so not huge competition. What would your advise be for them. This is a tough situation! Sorry they are having to deal with this situation 🙁 I think every situation is brought into your life for a reason. It sounds like they are keeping a good attitude about this all. If might get to the point where it is more defeating for their confidence to continue to play and could be more beneficial to practice really hard on their own versus playing on the high school team. I am all for sticking things out and maintaining a positive attitude on a team, and it SEEMS like they are doing that, so I’m afraid with this one I am a bit stumped. Time brings all answers though….give it time and see how things work out this season, then go from there. Any advice if the high school coach is unresponsive and unwilling to talk to the player? You know, I had responded to this same comment on my Facebook page. My best advice for that is to keep working hard at practice and compete for a position. Try to stand out. My next advice following that, is even if you ARE working as hard as you can and your coach will not talk to you, keep a great attitude and stay positive on your team. Put your team first by not causing drama and talking to other players about what is going on, which stirs the pot and creates bad team chemistry. At the end of the year, have a family discussion about the pros and cons of staying on the team. If the cons outweigh the pros, then consider removing yourself from the team if being on the team and not playing feels that detrimental to the players self esteem and self confidence. I rarely condone quitting in the middle of the season and I never condone the whispers that go on from player to player about specific situations that cause players to form sides. So if you’re in the middle of this situation, even in the stands, do what you can to not show it and keep perspective. Discuss as a family in the walls of your own home, but not around the field, at school and in practice. Wow! Excellent read. I just emailed this article out to all of our players, managers, parents, and our administration team. I coach high school softball, and your article reinforces what is important for us to keep in perspective. Players deserve feedback as to improvement to earn playing time. On a well run team, players know why they are in their positions and have an understanding on how to improve. Unfortunately, coaches that understand that this is a relationship that requires a TWO WAY line of communication are rare to nonexistent. Too often, kids are left to guess or question, or worse, blame other players as to their position. I know that parents often wear rose colored glasses, unfortunately many coaches are wearing blinders. Hi Amanda, I am a freshman pitcher, and I have trouble getting my hip around, is there any drills I can do to help with it? Kick your leg through at the end of your pitch – as a drill! Bring your drag foot all the way through your landing foot, and drive your knee up towards your hip! I understand respect for the coach, and players should earn their place. 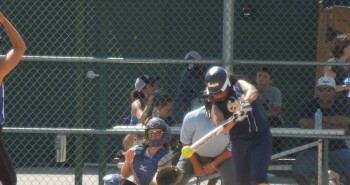 In my situation I have a 16yo who has played school & travel ball since she was 5yo. She was contacted by a scout last week to set up a profile for college teams to look at. Just this year she has been almost completely excluded from HS ball. I have told her to ask, & repeatedly she has simply been blown off. Even to the point that the head coach has literally not spoken a word to her for weeks. The team has several freshmen who have done nothing but ride the bench for the last two years. Something my daughter is doing now, even in place of far less experienced players. In this situation, where a coach is clearly not basing the lineup on ability – or providing opportunity to influence the coaches decisions – then what choice is there but for an adult to intervene ? After reading your article I asked her to request a meeting with the coach to discuss playing time. I do not expect a different result but we shall see. Here’s my take. 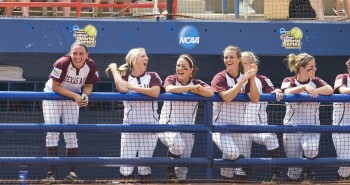 Softball, to date is not viable spectator sport so there is no real possibility of being a paid player. People play it for the love of the game. Parent put their kids in it to keep them active & in positive circles. Nobody does it with the expectation of zero playing time – for whatever reason. And at HS age, none of them are so bad as not to deserve a few innings. Everyone likes to win, but that success at the cost of disparaging teenage girls who work their butts off is, imo a hollow, achievement driven by a coaches ego rather than a desire to coach. Just my opinion of course. My daughter plays for a 10u traveling team. She’s a pitcher, first baseman and a pretty good hitter. 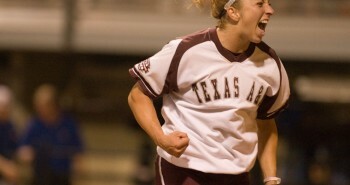 Softball is her life! She puts in a lot of time. (By choice) She’s only been playing for 2 years and pitching in games for 1 year. And right now she doesn’t understand why some of her teammates don’t have the same passion as she does. I’ve tried to explain it my my husband has tried. But she still doesn’t understand. Any suggestions or advice? Thank you in advance. I think we would all have the same explanation! At some point it will get through! Hi,I’m going to be a sophomre, and I’ve never played softball, and I’m really looking forward to tryout,but I don’t really know anything about softhball or how to play it.Do you think I have a chance in making the team? What should I do and how do I learn how to play? What are the basic steps I need to learn? Hi,I’m going to be a sophomore in high school and I never played softball before and I don’t own any softball equipment. Do you think I have a chance on making the team?What should I bring to tryouts? What should I wear? Very well written article. I agree with 99% of what you say, however I think most of what you say applies if your coach is Mike Candrea, Tim Walton, Augie Garrido, etc. In other words, a coach who motivates, inspires, is knowledgeable and honest with his or her players. First, it is tough for a kid to sit down with and talk to a coach, much less the coach who has a history of lying to her (telling her she will get playing/hitting time if she does a,b or c. Then, when she accomplishes it, she still does not get playing time). Then there is the coach who believes you win the job in preseason and its yours for the whole year no matter how bad you play or how many errors you make. No one else gets a shot at the position. I seriously doubt a player-coach conversation will change this flawed philosophy that has been employed for years. Personally, I have seen coaches that only play the older kids, even if they are objectively, the worst player on the team. Imagine having a conversation with the coach who would have that older kid hit during the playoffs because he “likes the way the older kid can draw a walk”. What should she say? “Ok, coach, I will go up there and not swing the bat better than player A” ??? Also, you failed to mention the cancer of “daddy ball”, which is very prevalent in high school sports. How is a kid supposed to “talk” her way into playing ahead of the asst. coach’s kid when superior hitting and fielding can’t do it? 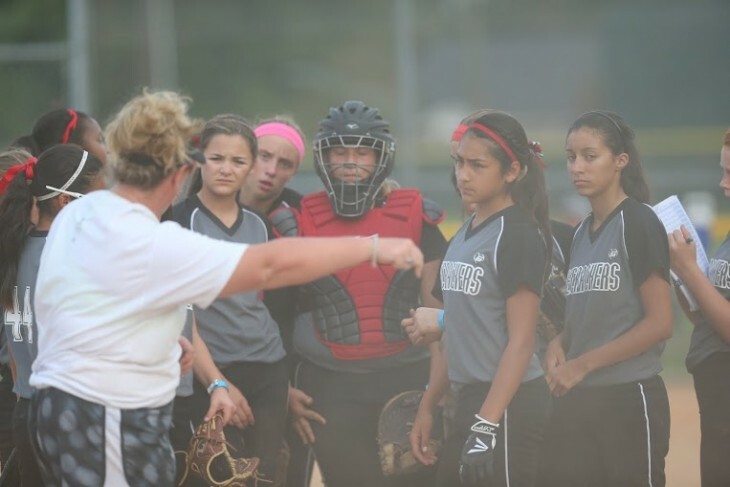 Unfortunately, many high school softball coaches simply do not know the game or have any leadership experience . Sadly, others are only there for a stipend and do not have thick enough skin to make the tough decisions required to build a real TEAM. One in which all of the kids have a roll to play and contribute to the team, even if it’s not in being an everyday starter. Once again, I agree with what you write. I just think it applies more to the average college player more so, than the average high school player.